Provide comfort for the family of Virginia Browne with a meaningful gesture of sympathy. Browne, Virginia M., (Higby) of Arlington January 23. Beloved wife of the late Harold J. Browne. Devoted mother of Stephen and his wife Carol Browne of West Medford and Susan Browne Plati and her husband Domenic of West Newton. Sister of the late Barbara Brooks, Patricia Puopolo, James Higby, Ronald Higby and John Higby. Also survived by numerous nieces and nephews. Relatives and friends are invited to visit in The DeVito Funeral Home 1145 Mass Avenue on Monday from 12:00pm to 2:00pm with a funeral homes service to follow. 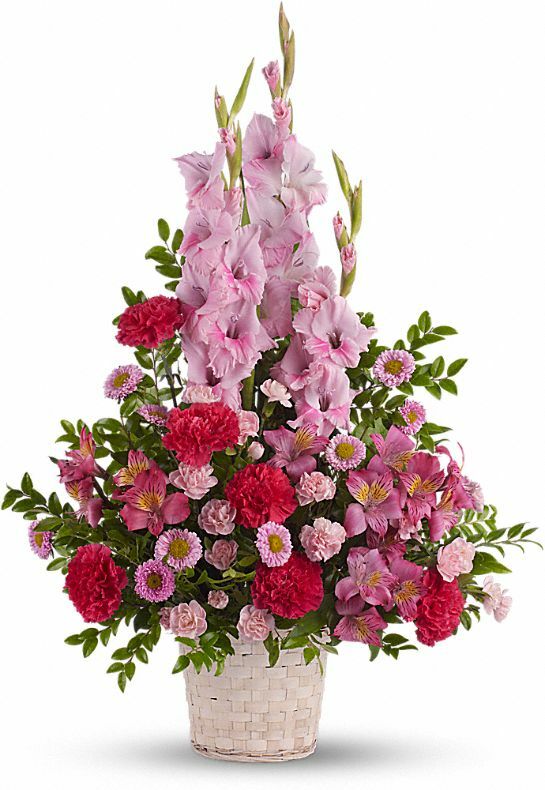 In lieu of flowers donations in Virginia's memory to: The American Cancer Society 30 Speen St., Framingham, MA 01701 would be appreciated. Bill Nutt and Family sent flowers to the family of Virginia M. Browne (Higby). With deepest sympathies and heartfelt condolences. Bill Nutt and Family purchased flowers for the family of Virginia Browne. 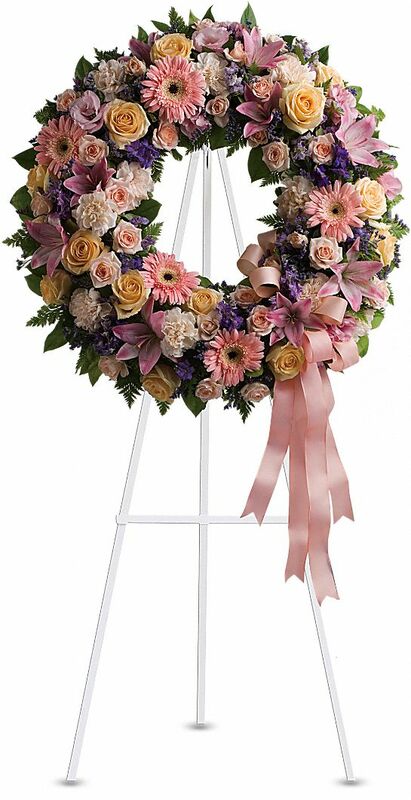 Heartfelt Sympathies Store purchased the Graceful Wreath for the family of Virginia Browne.